II-VI PERFORMANCE METALS is an internationally recognized producer and supplier of Rare Specialty Metals & Chemical Products including Selenium, Tellurium, Scandium and Lithium chemicals. We are based in the Philippines, with global sales, marketing and customer support available through a combination of internal resources and distribution relationships. II-VI PERFORMANCE METALS’s Rare Specialty Metals & Chemical Products are widely accepted as being of the highest quality. Our products are used in a diverse range of applications, such as: photovoltaic cells, laser optics, thermoelectric cooling systems, glass products, agriculture, nutritional supplements, etc. II-VI PERFORMANCE METALS specializes in providing unique technologies for complex raw materials, at mine-site solution for material concentration and tolling services for the recovery of high value specialty Metals and Chemicals by secondary refining techniques and waste recovery. We also source raw materials from global suppliers through short or long-term contracts as well as one-time or spot purchases. We welcome the opportunity to submit bids on Rare Specialty Metals & Chemical Products. Please contact our procurement department if you have high value residues or waste material for sale, and would like to discuss a long term relationship/partnership with our company. Or if you prefer, please provide us the information requested below and we will contact you. Rare Specialty Metals & Chemical Products are rare elements seldom found in their native state and are widely dispersed in the earth´s crust at average levels less abundant than silver (they rank 69th and 75th respectively, in order of abundance). Tellurium was discovered in 1782 by Franz Muller von Reichenstein and was named by M. H. Klaproth, who isolated it in 1798. Selenium was discovered by Berzelius in 1817. There are no ores from which Tellurium and Selenium can be mined as primary products. Tellurium is usually associated with gold, silver, copper, lead, and bismuth ores. One of the most common Tellurium minerals is sylvanite, a complex gold silver telluride. Selenium is found principally in sulfide minerals of copper, iron, and is most common in chalcopyrite, bornite, and pyrite. The extraction of Rare Specialty Metals & Chemical Products from ore or residue is a complex process involving numerous hydro- and pyro-metallurgical treatments. Flotation concentrates are smelted to remove sulfur, iron, and other impurities. Treatment of 200 MTs of copper ore typically yields one pound of Tellurium. Selenium and Tellurium are considered as impurities in typical copper production and are separated in electrolytic copper refineries, where impure copper anodes are dissolved electrolytically and redeposited as high purity copper cathodes. The impurities, which include Rare Specialty Metals & Chemical Products, either dissolve in the electrolyte, or settle as slimes to the bottom of the electrolytic cells. They are subsequently recovered through various extraction technologies, and further refined into commercial product forms and compounds. Using a combination of novel and proprietary technologies, II-VI PERFORMANCE METALS is a well-recognized leader in the synthesis, characterization and large-scale production of these exotic materials. The R&D facilities include a state-of-the-art materials characterization and analysis lab, featuring the latest generation of instrumentation and tools. In-plant analytical instrumentation includes: Atomic Absorption Spectroscopy (AAS), Inductively Coupled Plasma (ICP), and other wet/dry chemistry machines and tools. All testing, recording and analysis is performed in conformance with rigorous quality-controlled procedures, ensuring the accuracy of reported data. PRM has received ISO 9001-2015 and ISO 14001:2015 certifications for its Quality and Environmental Management programs, respectively, and numerous recognitions from various government agencies and tradegroups for its operational excellence. Experienced II-VI PERFORMANCE METALS chemists, engineers and metallurgists, diligently pursue the advancement of rare metal extraction and refinement technologies, and are able to respond to customer needs with best-in-class technical support and process/product development capabilities. The R&D facilities include a state-of-the-art materials characterization and analysis lab, featuring the latest generation of instrumentation and tools. In-plant analytical instrumentation includes: Atomic Absorption Spectroscopy (AAS), Inductively Coupled Plasma (ICP), and other wet/dry chemistry machines and tools. All testing, recording and analysis is performed in conformance with rigorous quality-controlled procedures, ensuring the accuracy of reported data. PRM has received ISO 9001-2000 and ISO 14001:2004 certifications for its Quality and Environmental Management programs, respectively, and numerous recognitions from various government agencies and trade groups for its operational excellence. Glass and Ceramics: Selenium is used extensively in glass and ceramic manufacturing, where it is used to impart red-bronze color to glasses, enamels and glazes as well as to remove color from glass by counteracting the green tint imparted by ferrous impurities. Catalysts: Selenium is a catalyst in many chemical reactions and is widely used in various industrial and laboratory syntheses, particularly organoselenium chemistry. It is also widely used in structure determination of proteins and nucleic acids by X-ray crystallography. Metallurgical Applications: Selenium is used with bismuth in brasses to reduce the toxicity of lead. Rubber Industry: Selenium can improve the abrasion resistance (wear properties) of vulcanized rubber. Electronics: due to its photoconductive properties, Selenium is used in photocopying, photocells, x-ray imaging, light meters and photovoltaic solar cells. Photography: Selenium is used as a toner in photographic prints. Medical use: Selenium disulfide is used as an active ingredient in some dandruff shampoos, and in body lotions as an anti-fungal aid. Nutrition: Selenium is used widely in multi-vitamins and dietary supplements (typically 50 to 200 micrograms per day for adult humans). 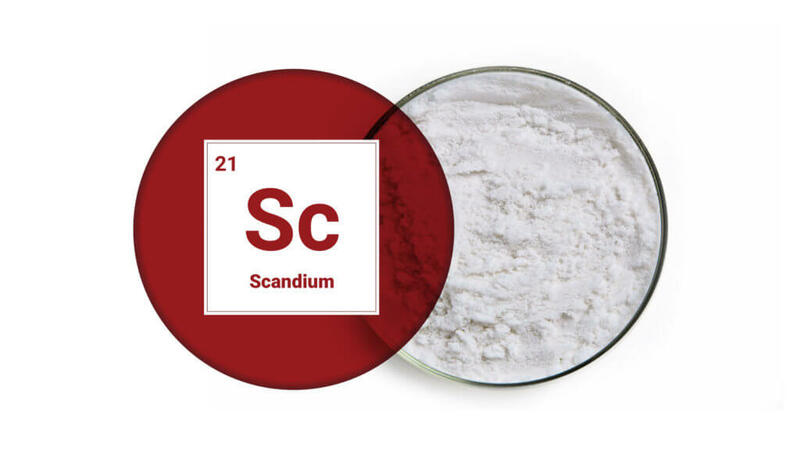 The role of Selenium in preventing various types of cancer is being widely studied and reported; Selenium is also being studied as a key additive in anti-HIV drugs. Livestock feeds: Selenium is used in carefully prescribed quantities to improve the nutritional value of animal feeds. Cosmetics: an evolving application for Selenium includes orthodontic materials with improved antibacterial properties. Coatings: Selenium is used as an antimicrobial/antifouling additive in industrial, architectural and marine coatings and sealants. Selenium is an essential micronutrient for animals and humans. Numerous studies of Micronutrient deficiencies in Soils and Crops across the world have been reported over the years. This problem is especially critical to the nutrition of people, and animals alike, in the developing world. Studies correlating the prevalence of many common diseases to Selenium deficiency in the local populations have been widely publicized in recent years. Systematic and controlled Selenium Supplementation is now being carried out in several countries by adding inorganic selenium (Sodium Selanate) to fertilizers. In the soil, Selenium is rapidly reduced to an insoluble form and therefore, the risk of leaching Selenium into the environment is considered negligible. Selenium in the form of Sodium Selenate is taken up by plants from the soil when added to the fertilizer. This sodium salt, Na2SeO4 contains 41% Selenium. II-VI PERFORMANCE METALS is the world’s leading producer of high quality Sodium Selanate and has been supplying this essential ingredient reliably for two decades. II-VI PERFORMANCE METALS’s Sodium Selanate is also compounded into several commercial Pet and Poultry Nutritional Products and Supplements. Being a direct bandgap material, Selenium-containing CIGS also has very strong light absorption characteristics. Only 1-2 microns of CIGS is enough to absorb most sunlight. A much greater thickness of crystalline silicon is required for the same absorption. Due to these ideal optical properties, CIGS is therefore another critical material in the category of thin film solar cells, along with CdTe. CIGS films can be manufactured by several different methods. The most common vacuum-based process co-evaporates or co-sputters copper, gallium, and indium, then anneals the resulting film with a selenide vapor to form the final CIGS structure. An alternate vacuum method directly co-evaporates copper, gallium, indium and selenium onto a heated substrate. Non-vacuum-based alternative processes that are also being considered include the deposition of nanoparticles of the precursor materials on the substrate and then sintering them in situ. More recently, electroplating has emerged as another low cost alternative for CIGS. II-VI PERFORMANCE METALS’s high purity Solar Grade Selenium is setting the standard for qualification by numerous CIGS Solar panel producers across the world. Our material is used across the spectrum of CIGS technologies. After a long incubation period, the CdTe segment of the Solar Industry has finally come of age. With a band gap of 1.5 eV, Tellurium-containing Cadmium Telluride (CdTe) is perfectly matched to the distribution of photons in the solar spectrum in terms of conversion to electricity. II-VI PERFORMANCE METALS is uniquely positioned as the ideal Tellurium partner for this critical technology through its breadth of technologies, capacity and experience. II-VI PERFORMANCE METALS’s Tellurium is used in manufacturing the CdTe utilized by the World’s leading solar panel producers. This “Solar Grade” material is processed through our state-of-the-art manufacturing module in a tightly controlled environment. Skilled engineers from our Quality Department diligently monitor the quality of each batch of material produced, prior to its shipment to the customer. Leading CdTe Photovoltaic panel producers have brought down their production costs well below $1/W, making Solar Energy an affordable solution for generations to come. II-VI PERFORMANCE METALS is proud to be a major contributor to this growth in Green Energy through its global leadership in Tellurium production.